WINTER PARK, Fla., July 26, 2018 /PRNewswire/ — It’s time to pop bottles and raise a glass to two legendary names in fine dining and wine: Miss Ruth and Madame Clicquot. On August 23, Ruth’s Chris Steak House locations across the country will host a five-course pairing dinner with Veuve Clicquot to celebrate the “First Lady of Steak” and the “Grand Dame of Champagne.” The dinner is the fifth in this year’s series of Ruth’s TasteMaker Dinners. To kick off the evening, guests will enjoy a Belvedere 75—a champagne cocktail made with Veuve Clicquot’s Yellow Label, Belvedere Vodka and Lemon—paired with a Fried Oyster Po’ Boy with Cajun Tartar Sauce. For the second course, they’ll be served a flute of Veuve Clicquot’s féted Yellow Label with Sea Bass & Shrimp Stew. The third course will pay homage to Veuve Clicquot’s Rosé paired with Tenderloin Tartar. 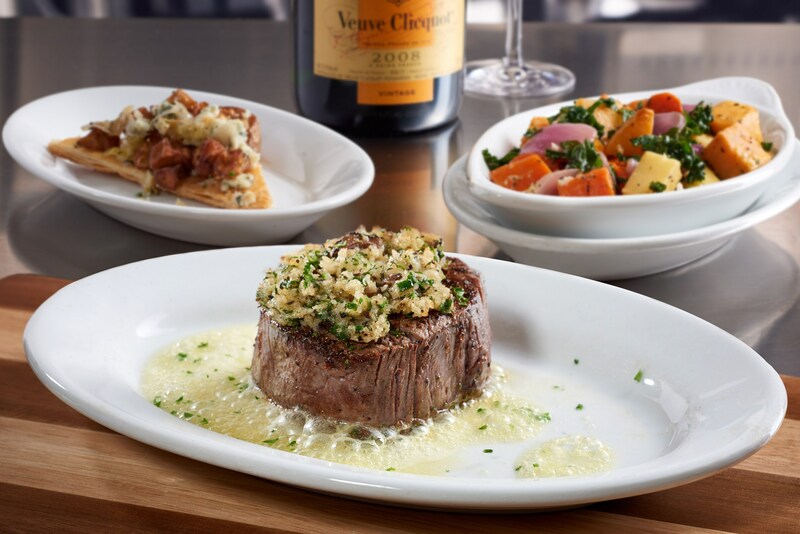 The show-stopping main course will feature a glass of Veuve Clicquot’s 2008 Vintage Champagne alongside Ruth’s signature Petite Filet topped with herbed truffle crust. Finally, for dessert, guests will sip on Veuve Clicquot’s Demi-Sec with Lemon Curd Napoleon. Reservations for Ruth’s TasteMaker Dinner featuring Veuve Clicquot are now available at participating locations. This year’s final dinner in the TasteMaker Dinners series will be hosted with Stags Leap Wine Cellars in mid-October.